Comment: Just buying a house with 20 wood windows, and planning in the future get new vinyl ones. Would love to get a rough estimate on how much I will be looking to spend. Comment: Replace some wood, trim around door, replace windows and paint exterior. Cordova Window Replacement Companies are rated 4.60 out of 5 based on 324 reviews of 16 pros. 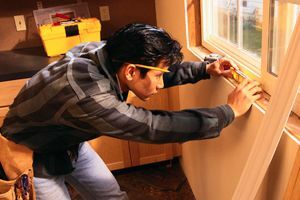 Not Looking for Windows Contractors in Cordova, TN?